If you are looking for a holiday that is jam packed with adventure, sport, culture, tasty food, nightlife, romance, friendly people, culture, excitement and luxury, then the island of Bali in Indonesia, should be your next holiday destination. It is without doubt one of the best islands that you can go to for the complete, fun filled holiday experience. No other island in the world seems to have the same type of impact and draw the huge number of tourists that Bali seems to. It is a tourist magnet The great news is that for many Australians it’s only a short haul plane light away – say good bye to any bad jet lag or long haul flights. Bali is within easy reach and is also extremely affordable. Bali depends heavily on tourism. About 75% of the entire Balinese economy is based on people like you and me and the rest of the world wide travellers coming over and spending an average of 6 days here. Wayan, Made, Nyoman, Ketut – these are the main names of any Balinese. All you need to do is say any of these names and sure enough you will be addressing someone. Hindu is the main religion in Bali. You see it everywhere. From the small offerings on the ground to the multitude of daily ceremonies being carried out. The whole island is awash with Hindu life, culture and people. It’s such a colourful and delightful mix which is part of the attraction of the island and a reason why so many people love coming here. The currency is Rupiah and is roughly 10, 000 to 1 AUD at time of writing this. To put it into context Rp 10 000 for $1 will by you a 1 litre bottle of water. The main tourist areas are Seminyak, Legian, Ubud and Sanur with other areas like Canggu and Umalas becoming more and more popular. Bali is like no other destination in the world. It’s fabulously rich culture plays out at all levels of life; from the exquisite flower-petal offerings placed everywhere, to the magical processions of happy garbed locals, walking down the main busy roads as they go from one temple to another. There is always something colourful to see and some enchanting ceremony to watch. It is so full of culture and rich in history, which is the main reason people keep on coming back time and time again. Bali also has magnificent beaches, great surfing ( names like Uluwatu, Padang, Medewi, Canggu and Kuta will bring tears of joy to any surfer), trekking, mountain bike riding, yoga studios, incredible diving and fantastic Villa accommodation, but it’s really the essence of Bali that should capture your imagination and keep you coming back year after year. It becomes an addiction; a place that you simply cannot get enough of. Most people that fall in love with Bali end up coming 2 to 3 times a year. They all have their own reasons, but the common thread is really the people; they are just so down to earth and welcoming. It’s their smile that really sets them apart from any other nationality in the world. The Balinese are warm, generous, giving and extremely friendly. On Bali, you can loose yourself in the chaos of Kuta or the self indulgent pleasures of Seminyak, surf world’s best waves, visit wonderful day spas, spend days shopping or simply hang by the pool and do absolutely nothing. This is what Bali is all about. a) Seminyak: known for it’s nightlife, excitement, really cool cafes, shopping as well as a wealth of day spas, gyms and yoga studios. Most people who come to Bali end up staying in a Seminyak villa as it’s got everything for the modern day traveller. It’s so convenient as a location and being right on the beach makes it the perfect family destination. Seminyak is the place to be if your want to be entertained, experience fine dining and like the idea of sending time in some of the best day clubs in Asia. c) Canggu: what started out as a surfie, back packer alternative to Seminyak has now grown into a major tourist hub. Although not quite as busy as Seminyak it still has loads of great restaurants, cafes and yoga studios. People come here to stay in a villa as there are not too many hotels in this area. Canggu is how Seminyak was say 10 years ago. Better see it now before it changes. There is rapid tourism happening here which some might say is unfortunate. But, this is Bali and things change and evolve very quickly here. d) Legian: this is one of the first areas of Bali that tourists found and for that reason there is a mass of restaurants, bars, shops, basically anything you can think of is found right here in Legian. It’s right next door to the popular Seminak area which means that it still shares the same buzz and activity. The beach here at Legian, especially around the Double Six area is extremely popular for watching the famous Balinese sunsets at the many beach bars. e) Umalas: This area is just outside Seminyak and has recently become extremely popular because of the fact that there are still rice fields around. Most of the villas and the hotels are in the rice fields with gorgeous views, hence the attraction. It’s such a good spot because it’s so chilled out and tranquil, yet you would hardly know that you really only 10 minutes away from some of those legendary hot spots like Ku De Ta & Potato Head. f) Ubud: No visit to Bali would be complete without a t least a day trip to Ubud. 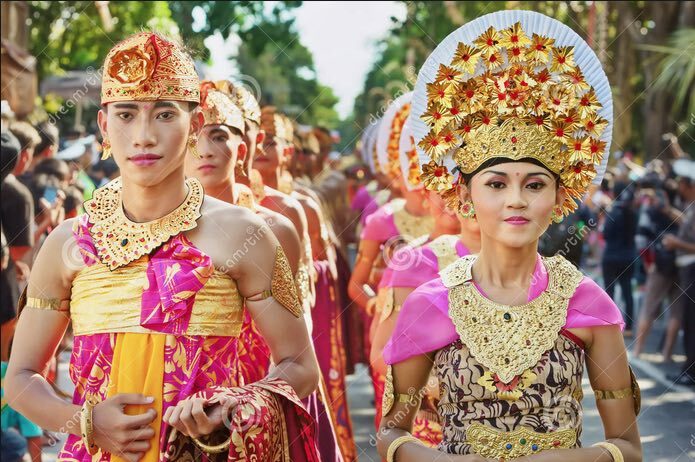 It’s the cultural heart of Bali and is about a 90 min drive from Sanur inland. Here you get to see local artists, jewellers, painters and of course sensational rice field views. It’s the spiritual heartland of Bali and people come here yo find themselves, learn to cook Balinese food or better their yoga practice. Ubud is about loads of downtime, eating at vegan cafes, checking out the cheeky monkeys at the Monkey Forest Temple and shopping for the ultimate painting or sarong. This list could go on and on but to make it readable we have listed 10 fun things to do in Bali, whether your travelling with kids or not. Make sure you go to the beach at sunset for the most incredible spectacle of your life. This is nature at it’s very best and the red raw sunset colours are going to blow your mind. Rent a scooter and see other parts of the island – this is probably the easiest way to get around because of the traffic especially around Seminyak, Petitenget & Oberoi. Stay in a holiday villa for a truly unique experience. Ditch the old ways of staying in a hotel and holiday in what can only be described as bliss. Spending time in Bali should be on your bucket list. It’s a MUST to do experience and here at Bali Villa Escapes we are here to help you turn your holiday into a reality. Browse our range of Villas and I am sure your will find one that is to your taste and budget. With over 550 to choose from we definitely have the right villa at the right price for your next Bali holiday.